Yet a scooter from the Duc pond is not without precedent. There are two scooters in Ducati’s past worth noting. The first was the Cruiser, which debuted in 1952. Not bad for its day. Strange to think that had the market gone a different way, Ducati could be today’s Vespa or Lambretta. A decade on, Ducati came back to scooters with something smaller, the Brio. 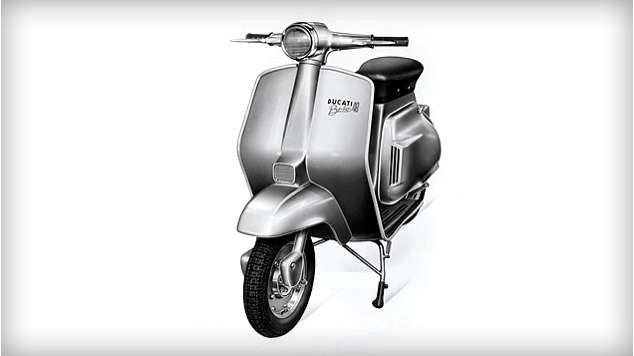 “Unveiled at the 1963 Milan Exhibition, the Brio was Ducati’s second foray into the scooter market, around 10 years after the launch of the Cruiser 175. The 48 and 80 cc Motoscooter projects all date back to the period between 1957 and 1962. Obviously times have changed since the ’50s and ’60s and the two-wheeled landscape has changed perhaps most of all for Ducati. Now positioned squarely as a premium luxury brand, I can’t help but speculate that at this point Ducati wouldn’t “lower itself” to build a scooter model. While I’m not part of the Ducatista myself, I think that other players in the segment have established that there’s a place for elite brands and smaller bikes. 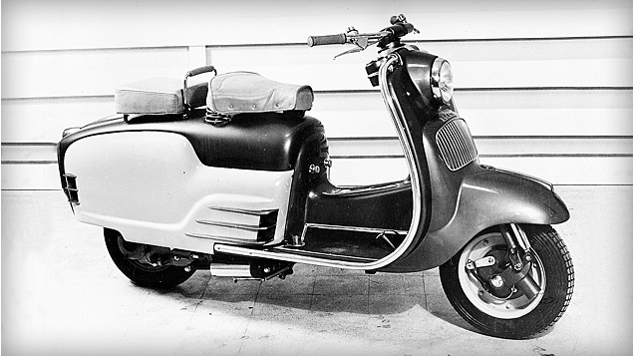 While the BMW C-series comes to mind, it’s really the Vespa 946 that makes my point for me. A $10,000, small displacement, premium italian scooter that’s made huge waves since its conceptual unveil two years ago. What’s more, they’re selling. Whatever Ducati’s reason for staying out of the scooter business, I think there’s still a missed opportunity there. In a recent episode of PBS’s NewsHour, Rick Schmitt of Fairwarning.org comes on to discuss a recent CDC study regarding the correlation between motorcycle deaths and helmet use. More specifically, to point out that while both car and motorcycle use have both gone up, automobile fatalities have dropped sharply, while motorcycle (and ostensibly, by extension, scooter) fatalities have more than doubled. The study draws a correlation between the sharp uptick in motorcyclist fatalities and an ever shrinking patchwork of mandatory helmet use laws.